Dr. Eun Sun Hwang knew from a young age that she wanted to become a dentist. After high school, she attended the University of Maryland College Park where she earned her Bachelor of Science degree in Biochemistry. She received her Doctorate of Dental Surgery from the University of Maryland School of Dentistry. During dental school, she was elected to the Omicron Kappa Upsilon (OKU) national dental honor society. It was a huge honor for Dr. Hwang because faculty votes only a handful of students who have distinguished themselves by excellence in scholarship, while demonstrating exemplary traits of character to join OKU. 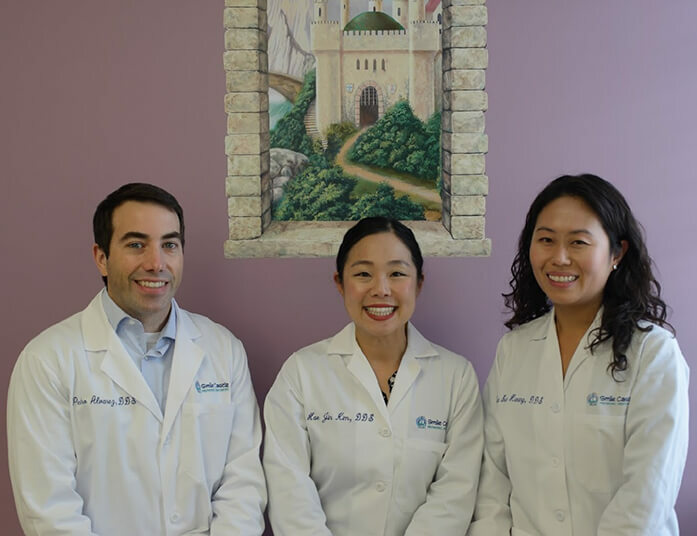 Dr. Hwang continued her training in post-graduate residency in Advanced Education in General Dentistry at the University of Maryland, where she received special training in cosmetic dentistry. 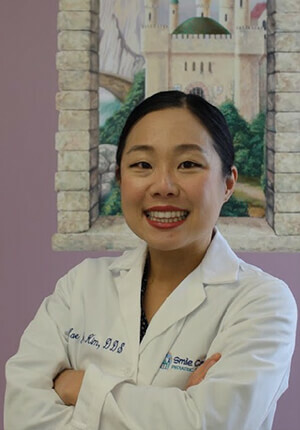 When she realized her passion for treating children, Dr. Hwang earned her specialty training in Pediatric Dentistry from the University of Maryland. 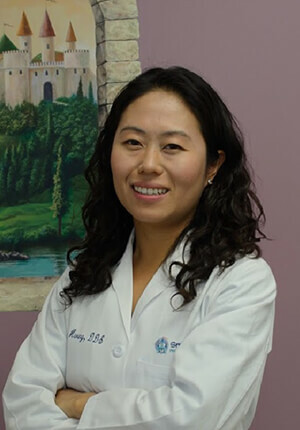 Dr. Eun Sun Hwang has been serving children in Southern Maryland since 2012 and she looks forward to serving children in this area for many more years to come. Dr. Hwang is happily married to her husband Stephen, who works at Patuxent Naval Air Station. Together they have two daughters named Olivia and Sophia. 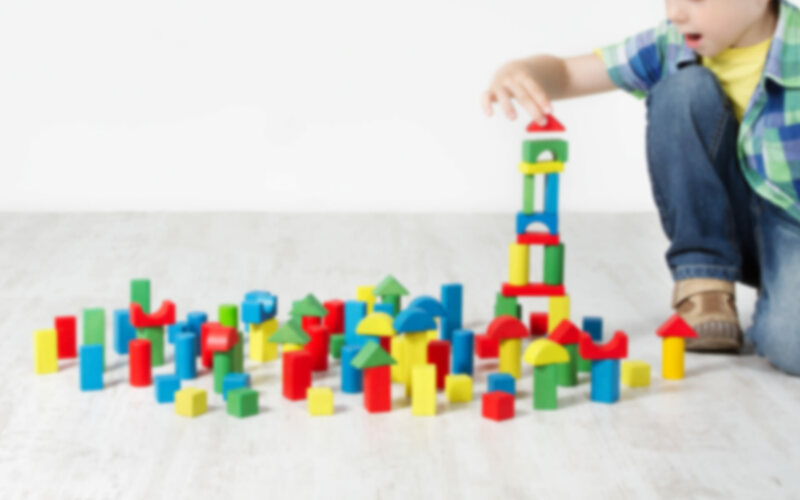 As a parent to two youngsters, she knows the challenges that raising a child can bring. She wants parents to feel comfortable asking her and her staff any questions about their children’s oral health. She loves working with children and wishes to have a positive impact on her patients by providing exceptional care and dental health education. In her free time, Dr. Hwang enjoys biking, traveling, and spending time with her friends and family. Dr. Pedro Alvarez grew up in upstate New York along the St. Lawrence river bordering Canada. He received a Bachelor of Science in Biology at Siena College in 2006. 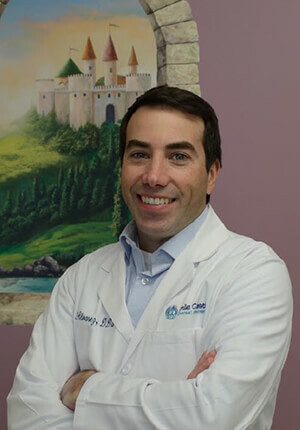 In 2010 he received a Doctorate of Dental Surgery from SUNY Buffalo School of Dental Medicine and then completed General Practice Residency at East Carolina University in Greenville, NC. Dr. Alvarez practiced general dentistry for four years in Massachusetts and New York. While practicing, he has enjoyed helping his patients feel comfortable and overcome their fears of dental treatment. He noticed many of his patients’ fears and anxieties of the dentist originated early on in life causing them to put off needed care. Dr. Alvarez decided to specialize in pediatric dentistry so that he could create positive experiences for his patients early on in life that would stay with them and promote good oral health. He received a certificate in Pediatric Dentistry from SUNY Buffalo in 2017 where he was trained in hospital and sedation dentistry. Dr. Alvarez has also traveled to Vietnam, Tennessee, and Virginia to volunteer dental services, along with local Give Kids a Smile Day. In his free time, he enjoys running, sailing, and traveling. We are very excited to be welcoming Dr. Pedro to our office. We appreciate the continued support from your practice. Dr. Pedro will start seeing patients mid August 2017. Our goal is to be more accessible and provide excellent care for our patients. Dr. Hae Jin Kim grew up in Los Angeles. She received a Bachelors of Arts in Psychology from Amherst College in 2006. There, she completed her Pre-Dental studies and studied abroad in Copenhagen, Denmark studying Child Development and Diversity, and Scandinavian Health Policy. Dr. Kim received a Doctorate of Dental Surgery in Los Angeles from USC in 2011. She went on to practice as a general dentist for two years treating underserved children in Albuquerque, New Mexico in private practice and on a mobile unit traveling to rural elementary schools. This was when she discovered her passion for working with children and families to provide care and creating positive experiences. Soon after, she received her certificate in Pediatric Dentistry from SUNY Buffalo in 2015. There, she underwent specialized and extensive training in sedation, hospital dentistry, special needs patients, and trauma. She worked for two years as a pediatric dentist in Syracuse, NY where she was also on staff at the Upstate Medical Center seeing patients under general anesthesia. 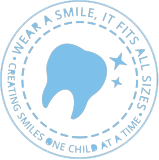 Her goal is to provide parents and children with a dental home where they can look forward to receiving kind, compassionate, and quality care. She places importance on communication, education, and teamwork with the child and parent. She finds it most rewarding to learn about her patient’s various interests and hobbies and see them grow into young adults. In her free time, Dr. Kim enjoys playing tennis, running marathons, reading, and traveling as much as she can. She has volunteered at local Give Kids a Smile Days, Remote Area Medical mission trips, and with Journey’s End Refugee Center. We are very excited to be welcoming Dr. Kim to our office. Dr. Kim will start seeing patients December 2017.